Our press releases outline many of our most recent accomplishments, events, partnerships, and more. Stay on top of what we’re doing by checking out our press releases. 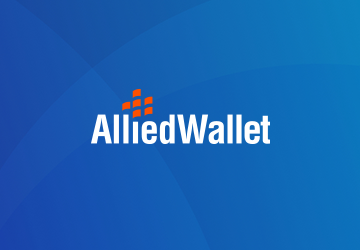 LOS ANGELES--(BUSINESS WIRE)--Allied Wallet, a globally leading provider of mainstream online payment processing offering various payment solutions in 196 countries... "Allied Wallet Wins 2018 M&A Award For Best Platform"
LOS ANGELES--(BUSINESS WIRE)--Dr. Andy Khawaja, CEO of Allied Wallet - a globally leading provider of mainstream online payment processing, is... "Allied Wallet CEO Featured as the “Job Creator” on New Wealth & Finance Cover"
LOS ANGELES--(BUSINESS WIRE)--Allied Wallet, a mainstream online payment processing company and multi-currency merchant services provider serving over 150 million users... "Allied Wallet Proudly Announces New Partnership with the Bank of St. Helena"
LOS ANGELES--(BUSINESS WIRE)--Dr. Andy Khawaja, CEO of Allied Wallet - a globally leading provider of online payment processing, is named... "Allied Wallet CEO is CEO Monthly’s Iconic Figure of Finance for 2018"
LONDON--(BUSINESS WIRE)--Allied Wallet, a globally leading provider of online payment processing offering various payment solutions in 196 countries all over... "Allied Wallet Opens New Tokyo Office to Support Japanese Business Growth"
LONDON--(BUSINESS WIRE)--Allied Wallet, a globally leading provider of online payment processing offering various payment solutions in 196 countries all over... "Allied Wallet Launches a Brand New Website to Service Millions Worldwide"
LOS ANGELES--(BUSINESS WIRE)--CEO Andy Khawaja of Allied Wallet, a globally leading provider of online payment processing offering various payment solutions... "CEO Andy Khawaja Talks Fintech and Allied Wallet Live on Fox Business Network"
LOS ANGELES--(BUSINESS WIRE)--CEO Andy Khawaja of Allied Wallet, a globally leading provider of online payment processing offering various payment solutions... "Allied Wallet and CEO Andy Khawaja Featured as Leader for Online Payment Processing"
LOS ANGELES--(BUSINESS WIRE)--Allied Wallet, a globally leading provider of online payment processing offering various payment solutions in 196 countries all... "Allied Wallet is Preparing to Go to Market Q1 2019"
LOS ANGELES--(BUSINESS WIRE)--Dr. Andy Khawaja, CEO of Allied Wallet, an award-winning provider of global payment services including online payment processing,... "CEO Andy Khawaja of Allied Wallet Honored in Michigan for Contributions to Society"
LONDON--(BUSINESS WIRE)--Allied Wallet, a globally leading provider of online payment processing offering various payment solutions in 196 countries all over... "Allied Wallet Sponsors AS Star Team Football Match for the Children"
LOS ANGELES--(BUSINESS WIRE)--Allied Wallet, a globally leading provider of online payment processing offering various payment solutions in 196 countries all... "Allied Wallet Seeks New Talent to Support Its Exponential Growth"